Director duo Pushkar-Gayathri will soon be directing Madhavan and Vijay Sethupathi for a flick titled as Vikram-Veda that would be bankrolled by Sashikanth for Y Not Studios. Pre-production work is going on now and the team is expected to begin shooting soon. 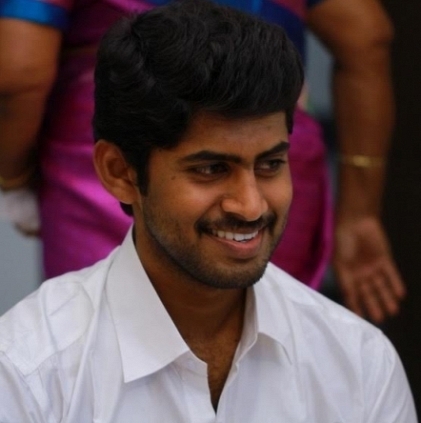 Our reliable sources tell us that the latest addition to the cast list will be Kathir of Kirumi and Sigai fame. “Kathir was chosen for this film, thanks to Kirumi and Sigai. Vikram-Veda will be an interesting plot with North Chennai as the backdrop and an important film in 2017. It will be spoken for its content, unique characterization and an excellent screenplay. Like how Maddy’s or Vijay Sethupathi's characters are unique, Kathir’s characterization also will be unusual”, add the sources. People looking for online information on Kathir, Madhavan, Pushkar Gayathri, Vijay Sethupathi, Vikram Veda will find this news story useful.